Malcolm Ratchford is the 4th Executive Director of Community Action Council for Lexington-Fayette, Bourbon, Harrison, and Nicholas Counties. Malcolm has been with the Community Action network since 1996, having previously served the organization as the Senior Manager for Neighborhood and Community Services and as Head Start Director. 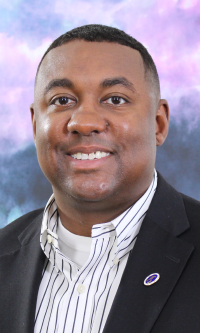 Malcolm earned his Bachelor's Degree in History Pre-Law from Talladega College and holds a Master's Degree in Family Studies, Early Childhood Education from the University of Kentucky. He has dedicated his career to advocating for equity and access to opportunity for all people through his work with structural racism, addressing the achievement gap, convicted felons rights and employment, inner-city youth, urban and rural poverty, immigration reform, and a variety of other conditions that serve as systemic barriers within our communities. His vision for Community Action Council includes making intentional investments in individuals and communities while advocating for the elimination of structural barriers that block access to opportunity for America's most vulnerable.